There is nothing more exciting to my girls then dressing up like princesses and going to a party. 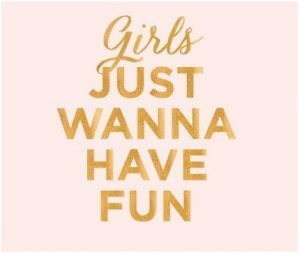 I suppose it’s true, “Girls just wanna have fun”. When taking your kids out, comfort can play a big part in their behavior. Chances are if you find the right dress that is comfortable as well as looks pretty then it is more likely your children will be content for longer. Avoid floor length dresses 1 – 4 years of age, this can be annoying and not to mention a hazard despite how cute they may seem. Avoid dresses with sequins on the hems, this can get itchy and cause a rash and discomfort. Avoid thick materials for indoor parties, often kids run around a lot and will feel uncomfortable in fabrics which don’t breathe as they will heat up very quickly. As much as a tutu is incredibly cute, try not to overdo it with a massive puffy tutu that is hard to sit in, dance or walk in and more importantly, fall asleep in at the end of the party. With little ones, it is also important to consider changing their nappies and toilet training. Try to avoid getting a party dress which is not practical for changing and going to the bathroom in. If you are ordering a newly designed dress (which we can help you with), consider getting a detachable bottom, so the top is part of a one piece and the bottom of the dress can detach. This was you can get more use out of the pretty torso design and remove the bottom half later. Try to avoid fabrics which crease easy as they will most likely be ruined when you put your kids in a car seat and squash the fabric in and around the seat belt. Hopefully these tips are useful in helping you chose the perfect dress for you little one. At KoKo Adora we can design and create a special formal piece for you, don’t hesitate to contact us if you need assistance with any custom designs.